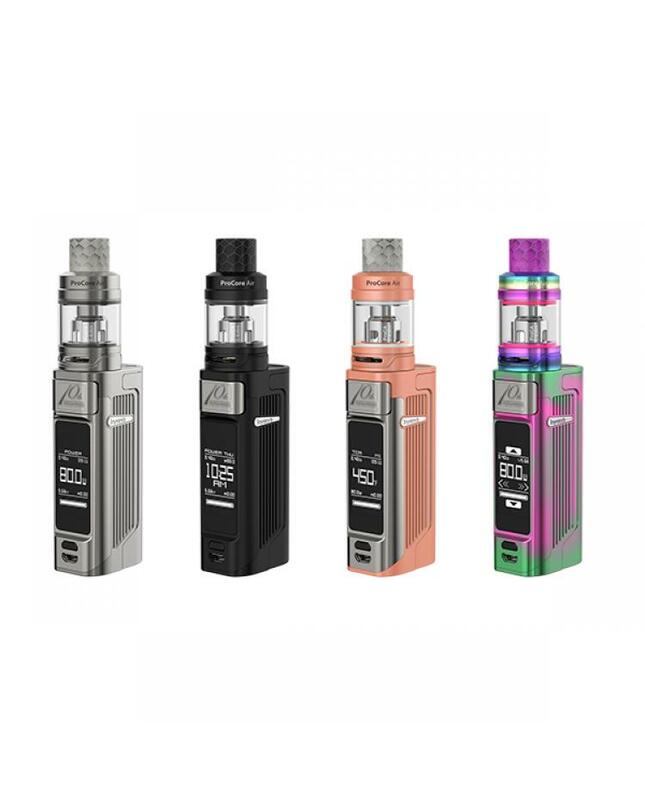 Newest joyetech espion solo vape kit, 4 fashionable colors available, includes espion solo vape mod and procore air sub ohm tank. 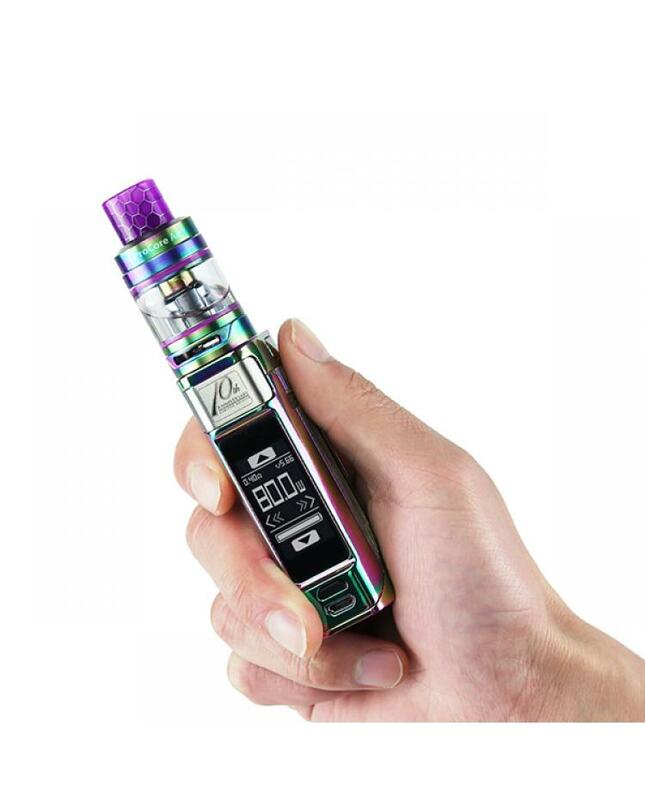 the espion solo mod adopts one 1.3inch OLED touchscreen combined with easy to use operating system, simply swipe the screen to view and adjust your mod freely.vapers can lock the screen by clicking the function button to avoid any touch by mistake, the new joye tech vape mod powered by 1pc 21700 or 18650 battery and max output 80watts, the humanized push-pull design of the magnetic battery cover makes charging the battery with high proficiency. the onboard reverse polarity protection protects the device from damage in the event of reverse battery installation. 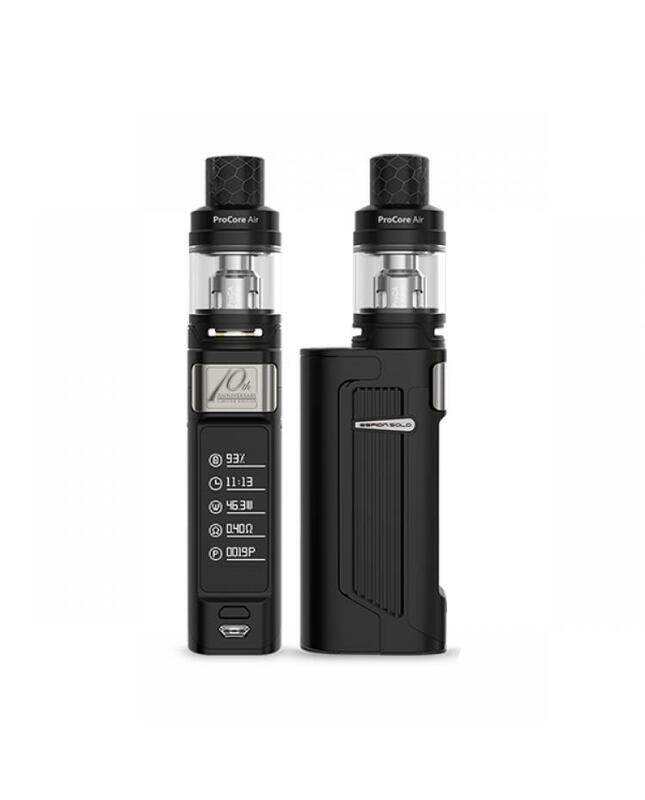 the espion solo applies two sets of battery protection circuit system, realizing overall battery protection of over-charging,over-current and over-discharging, which makes vape more safe and reliable.the procoore air tank can hold 4.5ml e juice, top refill and bottom airflow adjustable designs, compatible with proC series coil heads,will produce large cloud of vapor and dense flavor.